Bentley Suffolk Ram Lambs are bred for both the Pedigree and Commercial farmers. 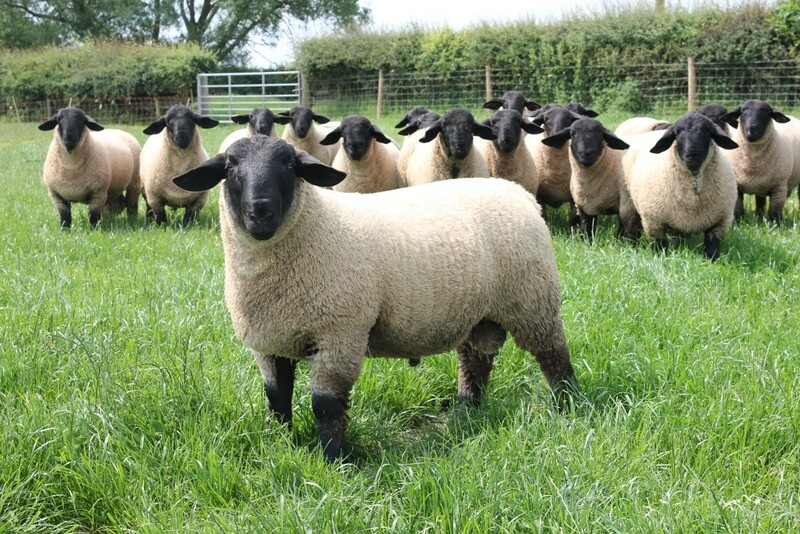 All lambs are performance recorded and many lambs sold will have EBVs in the Top 1% of the breed. Ewes are lambed in January and housed until weather allows them to be turned out in February. Lambs are fed concentrates through to sale, to maximise growth rates. Functional traits such as lambing ease, lamb vigour, foot structure, lameness, mastitis and dirty back ends have been and continue to be heavily selected for. Once these are satisfied, a combination of EBVs and breed type are then required. Within this flock we continue to strive for a balance of improving genetic potential, whilst being able to compete in the show ring and at society sales.